The LIVE stream is currently: OFFLINE. Video above is a time lapse of the tow away of the Costa Concordia which began on the afternoon of July 23, 2014. At this time the ship is enroute to Genoa, Italy to be scraped. 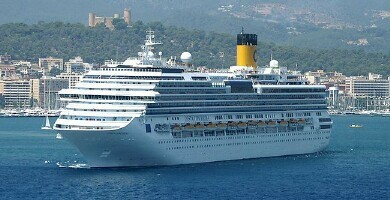 View Costa Concordia's Current Location & Recent Track - Live!